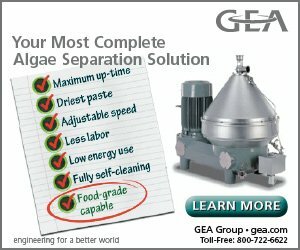 The Green Friendship Bridge: Do U.S. families need a Green Friendship Bridge? 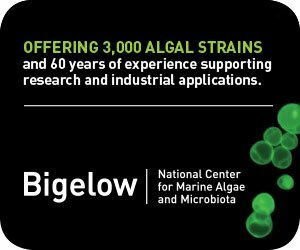 rior posts highlight the value proposition for building a Green Friendship Bridge of algae microfarms in lieu of 1%, (13 miles) of Donald Trump’s proposed border wall with Mexico. If we built microfarms for Mexican and Central American farmers, should we build another set for U.S. families in impoverished rural communities and urban food deserts? Rural household rates of food insecurity in the U.S. are generally higher than urban households. The irony is that many of these food-insecure households are in the rural and farm communities whose productivity feeds the world and provides low-cost wholesome food for American consumers. Rural families are hit doubly hard because they are also exposed to the substantial pesticide and agricultural poisons that flow from industrial agricultural crop production. Over 25 million Americans, including 6.5 million children live in food deserts where they are more than 10 miles from a supermarket. These families do not have easy access to good nutritional choices, including fresh vegetables and fruit. The cities with the worst food deserts are surprising and includes: New Orleans, Chicago, Atlanta, Memphis, Minneapolis, San Francisco, Detroit, New York and Camden, New Jersey, (the Garden State). New Orleans has only 20 supermarkets now, compared with 30 before hurricane Katrina. Though food deserts are prevalent in the Mid-Atlantic and the South, the USDA projects that large swathes of the Midwest and West Coast also struggle to meet Americans’ food accessibility needs. The USDA recently published a map of food deserts in the U.S.
Food deserts across the U.S.
About one in five children in the U.S. (15.5 million) are food-insecure. One in three children receive food assistance via the food stamp program called the Supplemental Nutrition Assistance Program. Over 48 million Americans live in food-insecure households in a country gifted with perfect weather and lands for excellent food crops. Over 5.4 million seniors over age 60, or 9% of all seniors are food insecure. Food insecurity exists in every county in the U.S., ranging from a low of 4% in Slope County, ND to a high of 33% in Humphreys County, MS. The top ten states leading in food insecurity are states that produce considerable food, including Mississippi, Arkansas, Louisiana, Kentucky, Texas, Ohio, Alabama, Missouri, North Carolina and Oklahoma. These states are blessed with abundant sunshine and warm temperatures that are ideal for algae microfarms. Many American’s suffer from hidden hunger due to an over abundance of calories, but have severe nutritional deficiencies. Often obese children and adults are actually malnourished because they consume the wrong types of foods. Empty calorie foods such as many snacks, soft drinks, candies, and dessert foods deliver lots of calories but practically no critical nutrients. Hidden hunger robs millions of Americans of the opportunity to reach their full potential. Micronutrient deficiencies occur when people eat enough calories, but fail to get essential nutrients such as vitamins and minerals. Malnutrition is common in developing countries but also has become common in the U.S. Hidden hunger deprives children of the essential nutrition they need to reach their full physical and cognitive potential. More than 50% of American children do not get enough of vitamins D and E, while more than a quarter do not get enough calcium, magnesium or vitamin A, according to a recent Journal of Nutrition study. Malnutrition leaves children extremely vulnerable to illness and infection. It can also lead to higher levels of aggression, hyperactivity and anxiety, or the reverse, fatigue and lethargy. Malnutrition diminishes brain function and degrades a developing child’s ability to learn. These micronutrient deficiencies result in a compromised immune system, stunted physical growth, reduced mental ability, lifelong chronic disease and premature death. Infants who lack micronutrients can develop stunted critical organs, which compromise their lives. Clinical signs and symptoms of micronutrient deficiencies include the following. Iron: Fatigue, anemia, decreased cognitive function, headache, glossitis and nail changes. Iodine: Goiter, developmental delay, and mental retardation. Vitamin D: Poor growth, rickets, and hypocalcemia. Vitamin A: Night blindness, xerophthalmia, poor growth, and hair changes. Folate: Glossitis, anemia, (megaloblastic), and neural tube defects (in fetuses of women without folate supplementation). Zinc: Anemia, dwarfism, hepatosplenomegaly, hyperpigmentation and hypogonadism, acrodermatitis enteropathica, diminished immune response and poor wound healing. Undernutrition imposes horrific human and economic tolls. Children lack the energy to pay attention in school, drop out prematurely and become dependent on social services for life. Vitamin deficiencies and deficiencies in omega-3 and other lipids cost billions in healthcare in the U.S. These health care expenses combined with the loss in productivity and wages for those who are sick, as well as higher assisted living costs, impose an estimated annual $157 billion drag on the U.S. economy. A microfarm can provide the critical nutrients for an entire community. Local microfarms can eliminate malnutrition, hidden hunger and food insecurity in the U.S. Mothers to be need about 300 calories more than their normal diet and they need more protein, Vitamins A, C, D and B9, iodine and calcium. Studies have shown that women who get 400 micrograms (0.4 milligrams) of folate daily before conception and during early pregnancy reduce the risk that their baby will be born with a serious neural tube defect. These birth defects involve incomplete development of the brain and spinal cord by up to 70%. Folic acid, sometimes called folate, is a B vitamin (B9) found mostly in leafy green vegetables like kale and spinach, orange juice, and enriched grains. Spina bifida, an incomplete closure of the spinal cord and spinal column. Anencephaly, severe underdevelopment of the brain. Encephalocele, when brain tissue protrudes out to the skin from an abnormal opening in the skull. These birth defects happen during the first 28 days of pregnancy — usually before a woman even knows she’s pregnant. Therefore, women of childbearing age need sufficient folic acid in their diets or as supplements. Mothers also need about 250 micrograms of iodine a day to help ensure the development of the baby’s brain and nervous system. Spirulina offers a strong nutritional source for potential mothers. The micro-vegetable contains about 60% protein and is a complete protein containing all essential amino acids. A 100 gram serving (3.5 oz.) of spirulina supplies 290 calories and is an excellent source (20% or more of the Daily Value, DV) of numerous nutrients, particularly B vitamins (folate, thiamin and riboflavin, 24%, 207% and 306% DV, respectively) and vitamin E (24% DV). It also supplies dietary minerals such as iron (219% DV) manganese (90% DV), potassium (29% DV) and zinc (21% DV). Spirulina’s 8% lipid content by weight provides excellent antioxidants beta carotene, gamma-linolenic acid, alpha-linolenic acid, linoleic acid, stearidonic acid, eicosapentaenoic acid, docosahexaenoic acid, and arachidonic acid. Prior Algae Secrets posts have reported that just 100 g of dried spirulina given to malnourished infants over eight weeks cures them of malnutrition. This model uses about two g of spirulina a day per child. 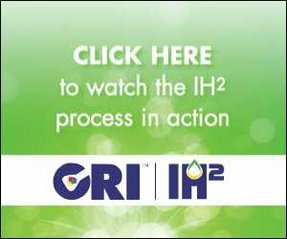 Antenna Technologies research in Africa shows that on an annual basis, a one m² tank yields a production of six g/day, which sums to two kg of dried spirulina a year. Each m² cultivated can supply a cure for 20 children with nutritional deficiencies. Each m² cultivated can supply sufficient critical nutrients for 20 pregnant mothers or mothers of nursing newborns. Many locations in the US can double the productivity of rural Africa. Therefore, each microfarm can serve a substantially larger community. Restores and enhances beneficial intestinal flora. Promotes and stimulates immune system protection. Strengthens neuro-protection and promotes anti-aging. Enhances body’s own healing response with phycobilins. Detoxifies pollutants, heavy metals, radioactive compounds. Improves eye and cell health with antioxidants and carotenoids. These health and vitality benefits assure microfarmers of strong markets for their valuable micro-vegetables, (algae biomass). Field experience shows that a 50 m2 (544 ft2) microfarm yields about 135 kg of spirulina per year. Antenna’s research shows that an eight-week spirulina treatment with 100 g (total) resolves childhood malnutrition. Therefore, each microfarm can deliver enough spirulina to cure 1,350 children and/or pregnant mothers from the horrible impacts of malnutrition. The 8,600 microfarms in the U.S. Green Friendship Bridge project could cure over 11.6 million children and pregnant mothers from malnutrition each year. Food security and avoidance of malnutrition is a worthy goal because it helps not only the kids, our next generation, but their families, schools, medical facilities and communities. Stronger kids grow up to be better citizens and to be strong contributors to local economic prosperity. The US Armed Forces should view healthy children strategically. Food insecure and malnourished children have neither the mental nor the physical capability to serve. A report by Mission Readiness estimates that 75% of young American adults cannot meet the armed forces’ academic and physical health standards for recruits. Fill-gut adds a small amount of dried algae eaten early in a normal meal, which then expands and fills the stomach. Alginates can absorb 300 times their weight in water, which fill the gut and suppresses appetite. 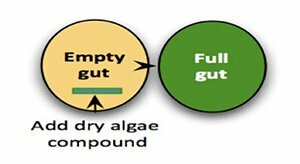 Certain algae-based compounds activate the stomach’s natural satiety signaling mechanism. The signal creates an artificial feeling of fullness, which signals the eater to stop eating. The signals also quash the nosh feeling. Sodium alginate induces significantly lower postprandial rises in blood glucose, serum insulin and plasma C-peptides. 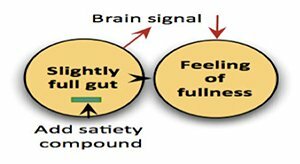 The addition of sodium alginate in the diet leads to a delayed gastric emptying rate induced by the fiber, which moderate glucose response. Algae microfarms distributed throughout the US, particularly targeting poor rural areas and urban food deserts can make a huge difference for families and communities. Microfarms can end food insecurity, hidden hunger and malnutrition in many communities. Algae foods can moderate the obesity and diabetes epidemic in the US, which the CDC estimates cost >$150 billion annually. Algae can provide nutritious foods that make consumers feel satiety rather than the nosh feeling that leads to more eating. The U.S. Green Friendship Bridge project will provide Americans with incredible health and nutrition benefits. In addition, microfarms will yield tremendous payback from social, economic, environmental and sustainability advantages. 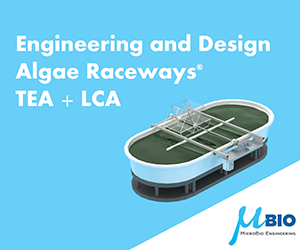 If you’d like to continue this discussion on how algae solutions make our world better, please contact Mark Edwards, Professor Emeritus, Arizona State University, at: DrMetrics@gmail.com.